Side effects from head or neck cancer can cause pain in your jaw and soreness in your mouth. Cancer: it is a terrifying word when you hear it. The one thing that never entered my mind as I began to battle melanoma, a form of skin cancer, was that my teeth and mouth would also be under siege. After two surgeries and facing radiation and drug treatment, I was wisely referred to my dentist. Why? Any person facing head and neck radiation treatment may suffer some painful side effects and potentially long term problems with their teeth and gums. 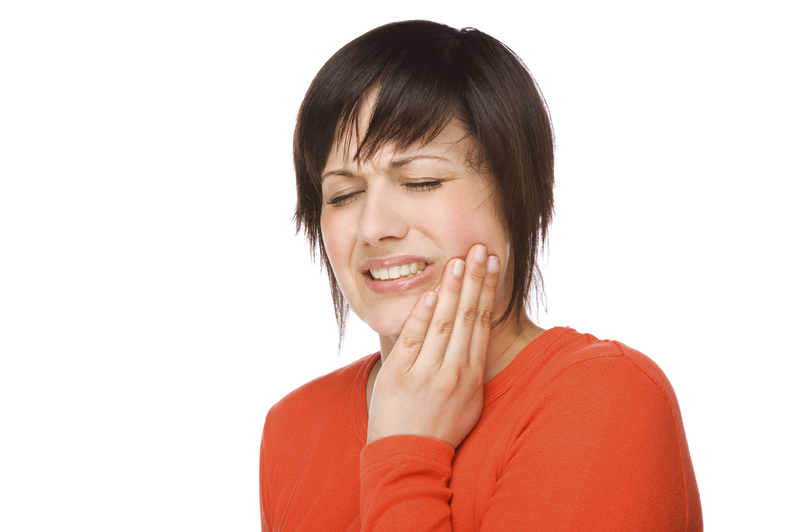 Soreness in your mouth, stiffness in your jaw, or loss of taste can occur. The radiation may damage the soft gum tissue, the lining of your mouth, the bones of your jaw, or the saliva glands. In my case, the saliva glands were damaged and I had a very dry mouth for several years. Because I did not have as much saliva to wash away any food and acid on my teeth everyday I was also more likely to get cavities. I was grateful I had a dentist, and my dentist knew what to do. He was able to see me before my treatment started. He took notes on the condition of my teeth and gums, and watched them closely in the weeks and months as I went through treatment. Having great dental insurance offered me an added benefit: a third cleaning each year. Delta Dental plans offer a third annual dental cleaning for people suffering from various types of cancers and other conditions such as pregnancy. If you qualify, be sure to check to sign up for this benefit at www.deltadentalaz.com under Subscriber Connection. If you already have an account, simply log in, and then click on Evidence Based Integrated Care Plan in the left menu to enroll. If you don’t have an account, simply create one first then follow the steps listed above. Having a third checkup keeps my smile in great shape, and brings me peace of mind that my mouth is as healthy as possible. • Your dentist is an important partner in your cancer treatment. • Ideally, see your dentist a month before starting radiation treatment for a checkup. • Brush and floss gently. • Check out the saliva substitutes and mouth moisturizing products like sprays and rinses. • Drink water to keep your mouth moist and hydrated. • Check with your insurance carrier and see if your dental plan has a Third Cleaning benefit, too. And use it! For more information, visit www.nidcr.nih.gov for oral health information specific to cancer.